POMONA – With the input of parents, students, teachers, staff and community members, the Pomona Unified School District has begun updating its Local Control and Accountability Plan (LCAP), a three-year outline for improving student success. The District is holding more than 20 LCAP sessions over the 2015-16 school year to solicit feedback on ways to strengthen programs and services that will help close the achievement gap and prepare students for college and career before adopting a 2016-19 plan. To promote inclusiveness and collaboration, the District elicits extensive input from various stakeholder groups across all schools – from the board, unions and principals to parents, teachers and students. A public hearing on the plan will be held June 22. “Participation so far has been great, and we are eager to hear from more voices in the community as to what further opportunities we can explore to increase student achievement,” said Director of State and Federal Programs Zoila Savaglio, who is coordinating LCAP development. The LCAP is part of the state’s Local Control Funding Formula (LCFF), which includes targeted resources for English Learners, low-income students and foster youth. 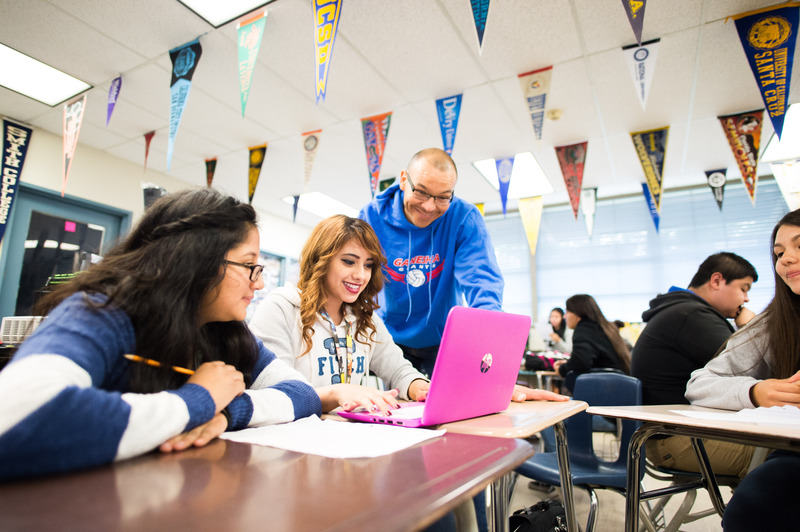 Increased funding under LCFF has enabled Pomona Unified to restore programs slashed during the Great Recession and launch new efforts to support its three LCAP goals – high academic standards, highly qualified staff and safe/equitable learning environments for all. Those efforts have reduced class sizes, boosted online learning and AP courses, upgraded technology, started dual-language immersion programs, and expanded transitional kindergarten and all-day kindergarten programs, as well as college-readiness programs in high school and middle school. There are also more Positive Behavioral Interventions and Support (PBIS) tools and resources, literacy-focused programs, increased parent engagement, and staffing for health and safety. For more information, visit www.pusd.org/lcap.